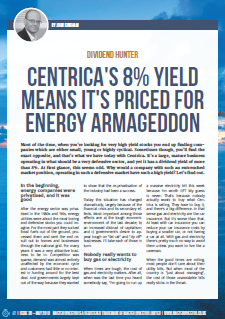 In this month’s Master Investor magazine I reviewed Centrica, a large and mature business operating in a very defensive sector, which at the time of writing had a dividend yield of more than 8%. At first glance this seems odd. 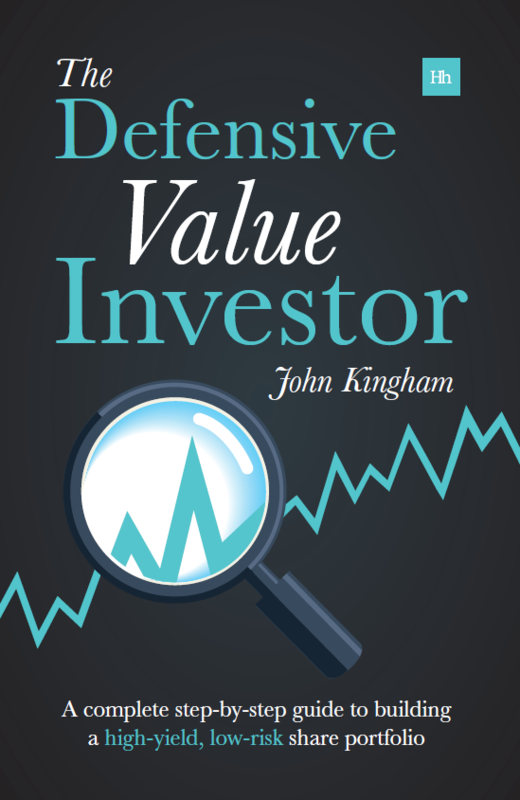 Most of the time when you’re looking for very high yield stocks, you’ll end up finding companies which are either small, young or highly cyclical. Sometimes though you’ll find the exact opposite, and that’s what we have today with Centrica. 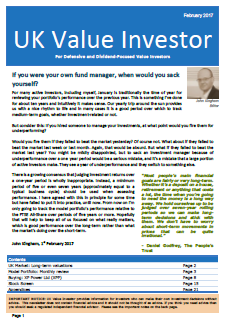 So why would a company with such an entrenched market position, operating in such a defensive market, have such a high yield? John – Alas I’ve been caught out by this munter as well. I say munter, as it’s also 50% down from my investment back in 2013-14 and 15. It’s still 1.49% of my wad, although obviously it was once significantly higher. Big mistake buying this, The management (with huge salaries) have made a real mess of Centrica, and their withdrawal from the suffering energy production market has proved expensive and ill timed, especially as oil prices are rising after their decision to cut the investment – durr!! Going forward, I think it’s unlikely to make much from it’s loss making venture into Hive and other remote control gimmicks. On balance my personal view is that the privatisation system has created lots of bloat – it’s created a whole industry of wasted human capital – look at all the expense from switching services – advertising and all the paraphenalia encouraging consumers to play around with what as you rightly point out is a basic need. Capitalism is indeed great to a point, but I often sit and wonder if the only beneficiaries of privatisation of basic public services has leaned toward benefiting those in government that have vested interests in servicing them at great expense to the tax payer – I mean they have personal shareholdings in the companies supplying to them..
British Rail was the worst example — ticket prices and the confusion in how to best buy the tickets have risen inexorably during privatisation and the said mantra is that “ahh but it’s much more efficient now isn’t it?” This is nonsense – most of the money goes to dividends for the shareholders of the leeching franchise companies – The government still spends more money supporting the rail system today than it did when it underfunded British Rail as a public service. The whole system is a sham and the costs of rail travel are now crippling – unless you are a conjurer, try buying a ticket from any of the major northern cities to get south without it costing a weeks wage. Network Rail is effectively bankrupt it has borrowed and wasted so much money paying service contractors like Carillion, Plus, the individual train franchise periods are so short that the costs of the repeated tendering processes adds hugely to the overall operating cost of the railway system. I’m at a loss to know what to do with Centrica, and thankful it’s the only and last utility I will ever invest in. Hi LR, it is a tale of woe indeed. One thing that never seems to get mentioned in the current frenzied drive to get everyone “switching” supplier every five minutes, is the non-monetary cost of all that switching. The hassle, the time, the confusion, the stress, just to get a few quid off the leccy bill, and then to have to do it all again a few months later. Perhaps we should scrap council tax and make householders vote on suppliers for waste disposal, road construction, schooling and who knows what else? And then have to do it again every year. At some point people just don’t give a monkey’s and would rather just have a single supplier (the council in the case of the council tax) and not have to spend time and energy worrying about all the details or chasing the lowest rate every five minutes. If only we could run parallel universes to see which people prefer, the current direct-to-consumer model where customers have to endlessly switch, or a middleman approach, where the government or some central IT-system negotiates the purchase of gas and leccy and distributes it across the country at a single price. As for Centrica, I have no intention to sell at these depressed prices. I’d rather hang on to see what happens. If the company isn’t nationalised the potential upside is huge, but that’s a big if. John – agreed I will also “reluctantly” hang on a while, the largest element in the depressed share price does look like the threat of nationalisation – which is very unlikely, although we must not under estimate the continued loss of customers at Centrica due to the switching milarky. Reading the newspaper brought me back to your lovely blog! Jeremy Corbyn manifesto is to nationalise the industry! As you said utilities are essential that people have little choice in its use! Given the tumultuous relationship, the utility sector has with the government and the general public I think its a sector I will avoid. I do not think it has any pricing power and given the aged infrastructure investors face risk of dividend being cut if the company has to undertake massive investment. However, I do not think the government will nationalise the sector simply because it won’t be cost-effective. The only scenario under which it may feel compelled to do this is if a utility company fails. In the 1970s this is what happened with Rolls Royce which went bankrupt and UK government had to step in because national security was at stake. Hi Reg, yes that’s the big risk. SSE and Centrica both have massive yields, partly because of constant government pressure to cut gas and electricity bills by regulation and more competition, but also because of the threat of nationalisation. As far as I can tell, if a Corbyn government got in with nationalisation in their manifesto, then there’s a serious chance it could actually happen. It’s a massive amount of uncertainty for what should be very defensive companies.